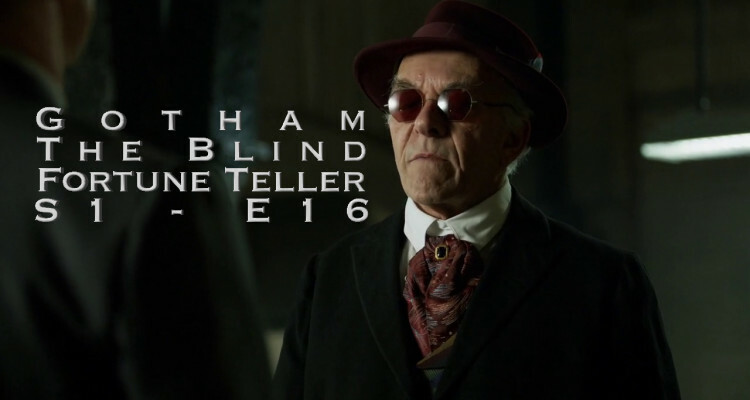 The Blind Fortune Teller was an odd episode of Gotham. The episode begins with Gordon and Dr Thompkins at the circus. 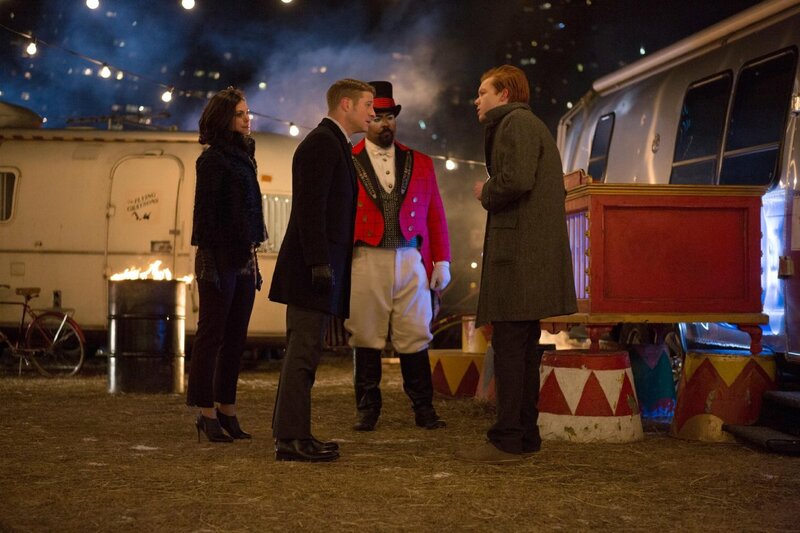 When a fight breaks out mid show between the trapeze artists and the clowns, Gordon has to be a cop, and break it up. It turns out the clowns and the trapeze artists have been having a family feud for many generations, but this fight was about a more recent occurrence. One man from either family was romancing the snake dancer from the freak show. And they fought over her. Trying to get to the bottom of things, Gordon goes to talk with the snake lady, but instead finds her son Jerome. Jerome is upset because his mother is missing. Gordon, knowing that snakes have a keen sense of smell, has Jerome let loose his mothers snake. The snake leads them to the snake ladies corpse. Back at GCPD, Bullock is shocked to see all the circus performers that Gordon has brought in. We don’t get a lot of Bullock in this episode, and it is a shame. I like Dr Thompkins, but Bullock makes a better partner. During the investigation, the circus psychic stops by to tell Gordon a clue that the snake lady revealed to him from the other side. In my opinion, the show writers missed a brilliant opportunity here. We should have seen Ed Nygma solve the riddle of a clue given by the blind fortune teller… instead, Dr. Tompkins figures it out. The clue leads them to the murder weapon at which point Gordon somehow pieces together that the blind fortune teller is actually Jerome’s father, and he is trying to protect Jerome by putting out false clues, for Jerome is the person that killed his mother. 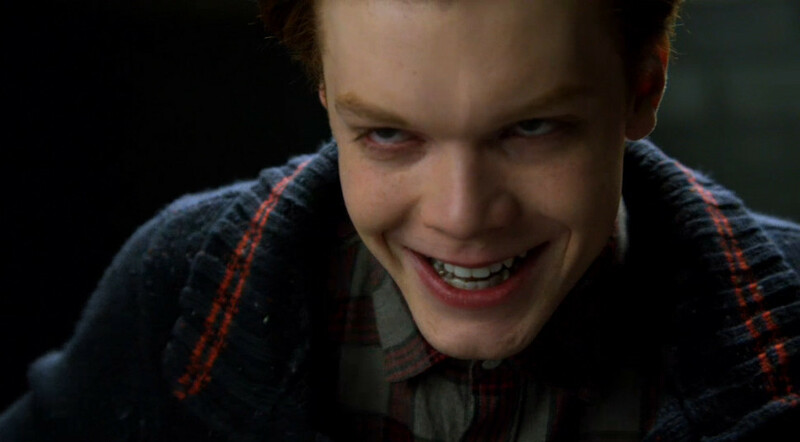 In the reveal, Jerome plays a great impersonation of Jack Nicholson’s Joker. He gets the laugh down perfect, and shows the right amount of remorseless psychopath for the role. This has led many to believe that Jerome will eventually become the Joker. We will see. So what else happened in this episode? 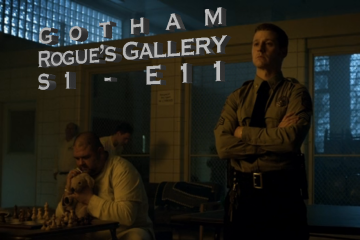 Well there was a bunch more crap with Fish Mooney… but who cares about her. Penguin isn’t doing to well with his bar. 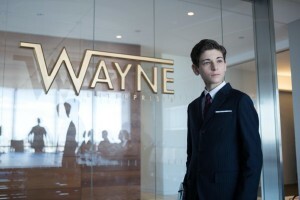 Don Falcone sends Victor Zsasz over to explain to Penguin that he needs to improve his profit margins. 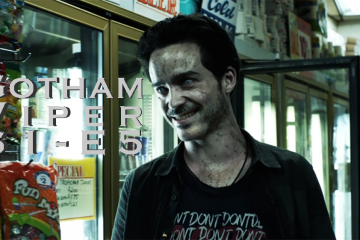 As a gift to help Penguin manage the bar, Victor brings him Fish Mooney’s former sidekick Butch. Victor assures Penguin that, after having “worked on him” for a few weeks, Butch will do whatever Penguin wants him to. Also in this episode, Barbara shows back up to her apartment and runs into Catwoman and Poison Ivy. They have a girls night, and pick out an outfit for her to where when she “drops by” GCPD to try to reconnect with Jim. However when she does, she sees him making out with Dr Thompkins..
We get a bit with Bruse Wayne and Alfred in this episode as well. Bruce has a meeting with the board of Wayne Enterprises, and he rustles a few feathers. He accuses them of being in cahoots with criminals, and other shady dealings. This may put him in danger in episodes to come.